When we first reported the big infill project coming to the Forest Park Southeast neighborhood south of Manchester Avenue, it was clear that there was still work to do. 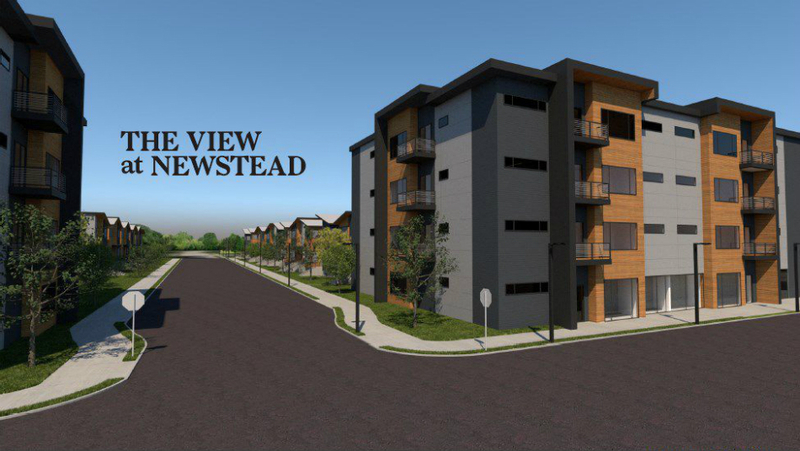 Specifically, the two 20-unit apartment buildings lining Newstead Avenue looks liked placeholders. Now, a much more refined design by JEMA Studio has been revealed. 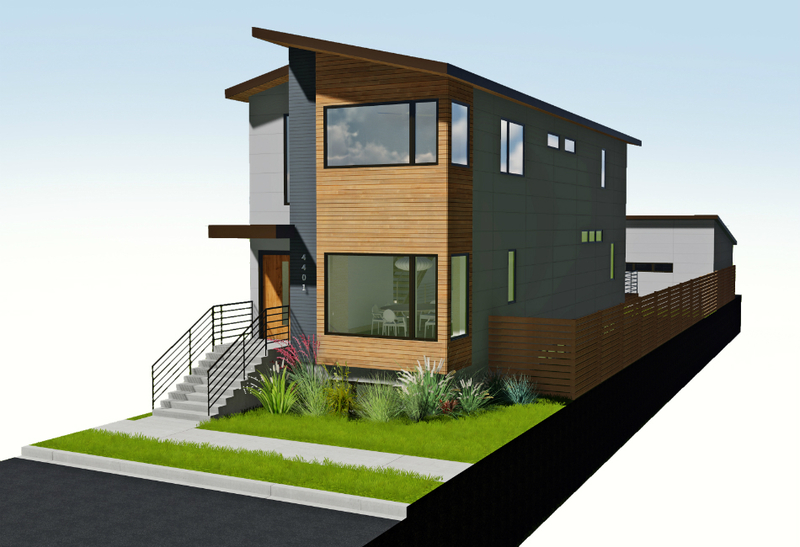 The 50 single-family homes presented in March appeared well-refined. 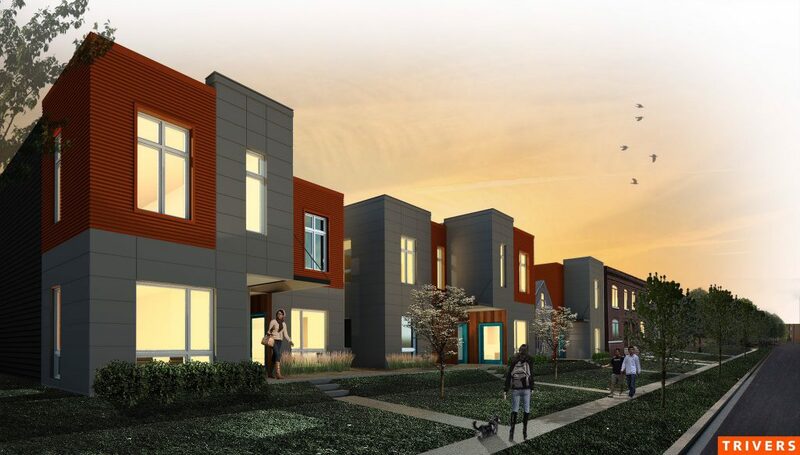 Designed by V3 Studios, the homes present a contemporary style that is coming to dominate new construction market rate infill in the city. Together, the homes and apartments comprise the second half of what will be the development of approximately 100 parcels. 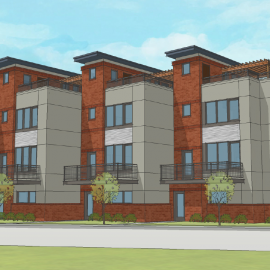 As NEXT STL reported in January, a 50-unit affordable housing project is also moving forward and will take a number of the long-vacant lots and replace derelict buildings. 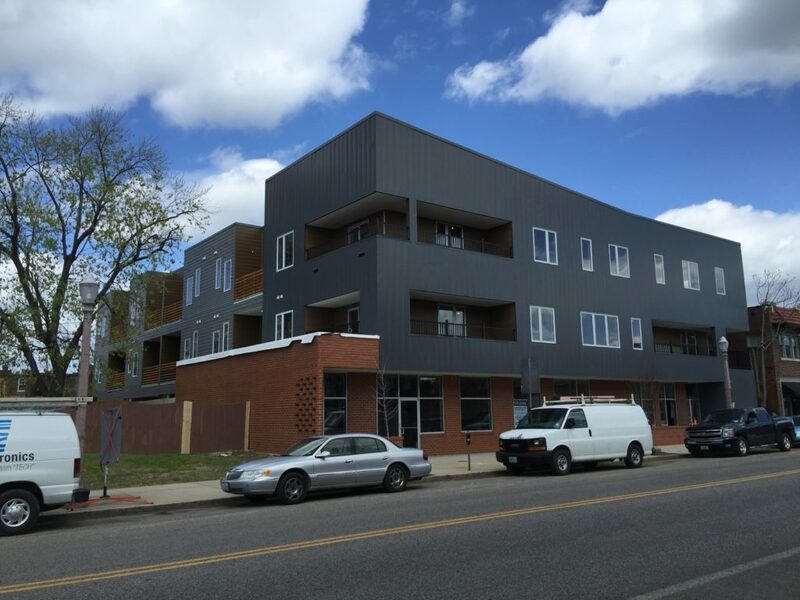 That project, by Rise and designed by Trivers Associates, added to VOW’s Housing Now program, which plans to renovate 5-10 properties for low-income homeownership for women. 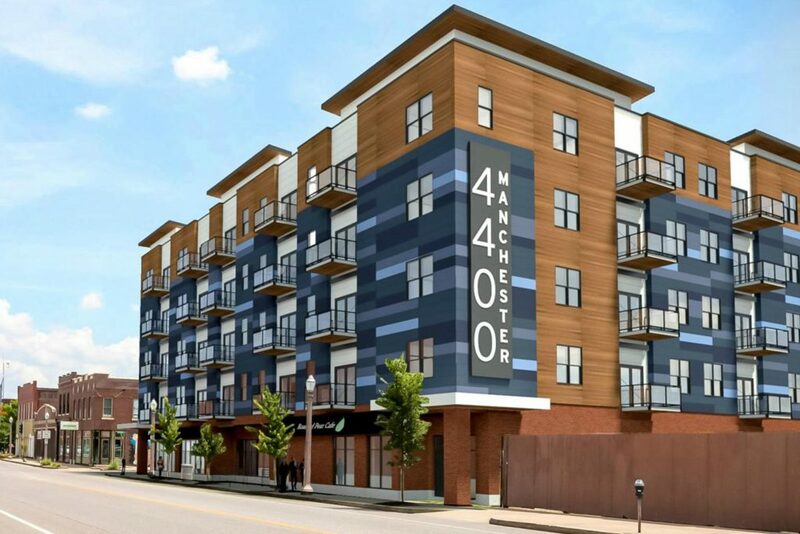 The new apartment building design is of the same contemporary architectural genre of 4321 Manchester, 4400 Manchester by Restoration St. Louis, and JEMA’s MOFO project. Together with other planned development, this corner of The Grove will rival Botanical Heights (McRee Town) for the most contemporary infill in the city. 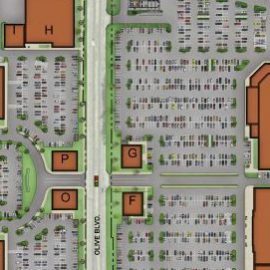 Proposals for south of Manchester in The Grove have come and gone over the past decade. What was once eyed as an area primarily suited for affordable housing, has become a mix as the market in the neighborhood has exploded in recent years. 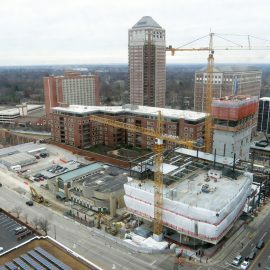 A decade ago, new market rate residential construction in the neighborhood was unheard of. Then UIC built a custom home north of Manchester on Gibson, eventually followed by four more market rate homes on the same block, and then a custom home on Hunt Avenue south of Manchester. Vista North and Vista South are new mixed-use buildings located at the intersection of Vista Avenue and South Newstead Avenue. 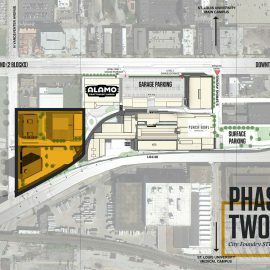 The 2 sites straddle Vista Avenue and are directly west of Adams Elementary School and down the street from Urban Chestnut Grove Brewery & Bierhall. The buildings are a combination of steel and wood. 2 different colored corrugated metal panels and angled wood panels create a rhyme and rhythm that dance along South Newstead Avenue. 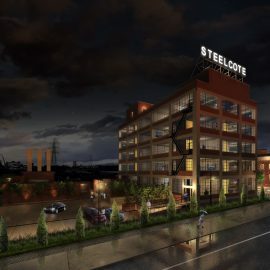 The building’s design pays tribute to St. Louis’ history of steel and the beauty of combining raw steel with wood. The ground floor is retail and covered parking. Each building contains approx. 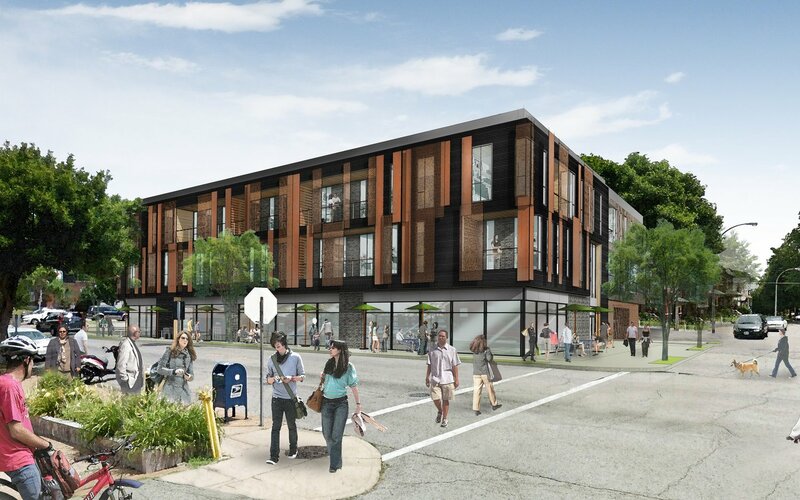 20 apartment units and several unique amenities, including a communal bike shop & storage area, pet washing & grooming station, individual storage units and a fitness center.